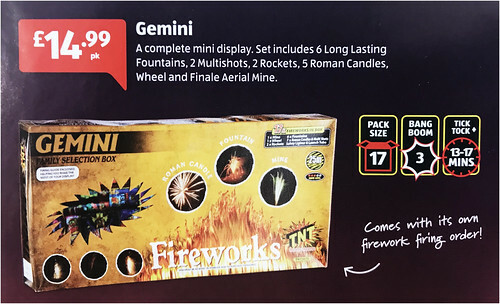 The Gemini Selection Box by TNT Fireworks. Perfect for those with small gardens and a great way to introduce fireworks to young children. A huge array of sound and visual effects; making this a great value selection box.